Showing results for tags '19mm'. 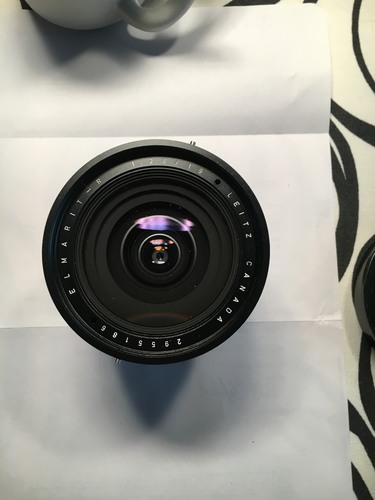 Putting External Filters onto R 19mm Version 2 lens? Hi, Does anyone know how to get external filters (I have the Hitech Formatt Firecrest holder) onto the R 19mm II lens? The Wiki tells me the following:- Filter (type) - Built-in turret with 4 filters: NDx1 (neutral density), yellow-green YG, orange OR, and blue (conversion filter KB12) Lens hood - 12546 separate, rectangular, clip-on type, lockable So it is a case of, does anyone know of an adaptor that clicks into the lens hood holder that will accept a screw in filter (I guess of greater than 67mm thread)? Or of anyone cutting down a lens hood and attaching a screw thread to it?